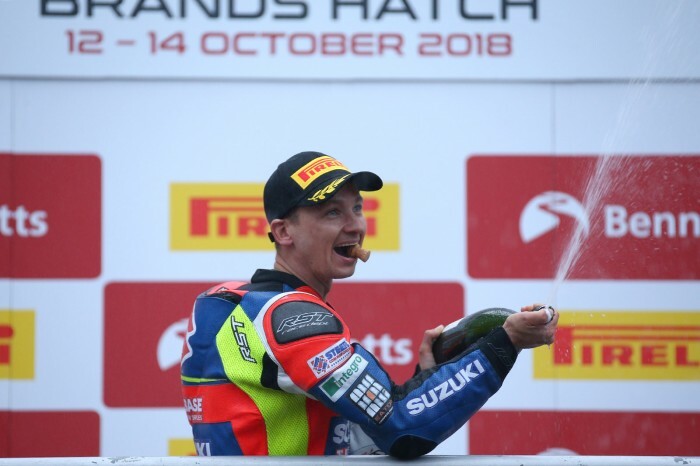 Race three winner Richard Cooper has admitted his first Bennetts British Superbike victory in over two years wasn’t all that difficult. And the Buildbase Suzuki rider, who dominated the field in today’s final race to take the win by almost 7.5s, says he’s finally redeemed early season struggles from which he’s been trying recover. Cooper led from the first corner after blitzing off the front row, never looking back as he stretched a gap, even with a big moment thrown in to keep him on his toes, while Tommy Bridewell and championship runner-up Jake Dixon took second and third. But as he rounded out what he says could be his final season in the blue riband BSB series, the diminutive Nottinghamshire rider is happy to keep his podium streak alive. “I’ve been racing 20 years at BSB level and every year on whatever bike we’ve made the podium, but it was looking like this would be the year where we wouldn’t make it,” he told Bikesport News. “So to finish with a win for the team and for myself is great. To be in the shadow of my team mate all year wasn’t easy – it makes you a better rider, but you have to question why you aren’t doing as good. “We’ve turned it around in this second part of the year, almost when the showdown started we’ve been the better rider. I’ve worked as hard earlier in the year it just hadn’t been showing. I’ve been trying as hard, we’ve just not had the results to show and now we do. Cooper attributed part of his strong pace to a good jump off the line, but admits a faulty lap timer helped him focus on the track rather than the numbers, which ultimately added to his strong pace in what could be his final British Superbike race. 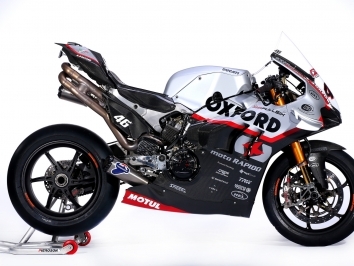 “The bike is amazing off the start, I sat on the first row then and though ‘I’m going to lead into turn one’. As soon as I let the clutch out I knew it was me leading. “I think what made it easier for me then was that the lap timer wasn’t working, so I just raced the track rather than the lap time and watched my board and it came fairly easily really. Even after the big moment I managed to gap them again and I thought I had it under control.